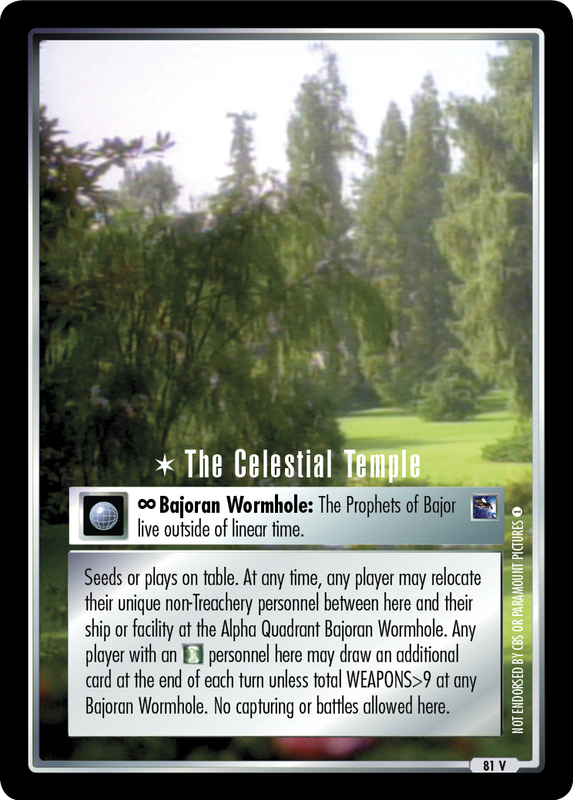 ∞ Bajoran Wormhole: The Prophets of Bajor live outside of linear time. Seeds or plays on table. At any time, any player may relocate their unique non-Treachery personnel between here and their ship or facility at the Alpha Quadrant Bajoran Wormhole. 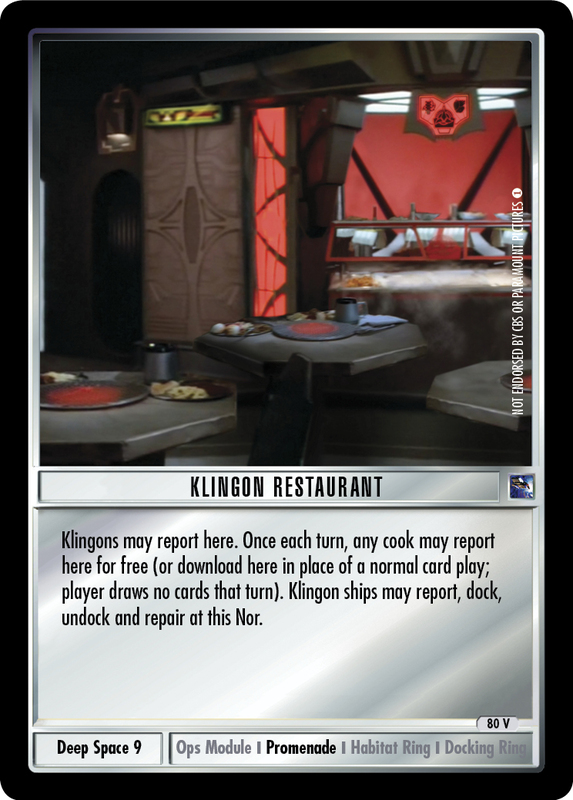 Any player with an personnel here may draw an additional card at the end of each turn unless total WEAPONS>9 at any Bajoran Wormhole. No capturing or battles allowed here.